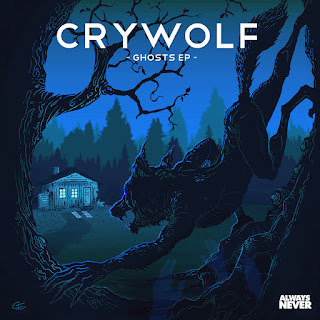 Poetically Wyld: Crywolf Performs This Saturday! I am... I love music. Music expresses those feelings I am unable to communicate (for one reason or another). Music is that warm embrace when the arms I want aren't able to embrace me. Music is forgiving and understanding, like he is. Music is patient and persuasive. Music is him and he is music and our sound waves vibrate in sync... He knows who he is *blush*. Okay, I digressed a little bit because I am listening to Aporia (Samuel Proffitt Remix) by Crywolf as I am writing this. Crywolf is performing this Saturday in Philadelphia and I have my ticket already! I am ultra excited because this will be my very first music concert ever! Angels (Acoustic Version feat. Emalyn) is playing and the way Crywolf is picking those guitar strings and he's singing with Emalyn about falling in love for the first time makes me want to cry. I can totally relate. The first time I fell in love... Disney wouldn't be able to make a movie good enough to describe how deep I fell. And still falling. But life happens so what do you do? Go enjoy a musical concert, have a couple of drinks and a good cry every now and then. Or maybe that's just my way of coping - for now.